Yes, you saw that right it's a two-month combined newsletter. June was a super crazy and unusual month with my daughter graduating from elementary school and all of the parties that go along with that as well as the last soccer games all rolling in at once and then the hospitalization of my daughter and the breakdown of my computer...super crazy! Thankfully, July seems to be a lot better than June (although I may be jinxing myself now). It's summer vacation and the whole family seems to just love all the free time. I have a few creations to show you as well but I haven't gotten around to transferring my photos on my computer so it may take a little while before I create new posts on my blog with pictures. 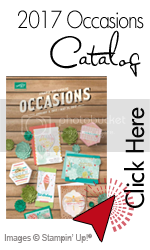 Last month was a big month for Stampin'Up revealing its brand new 2015/2016 Idea Book and Catalog. There are many many changes and new things in this catalog and you won't want to miss it. 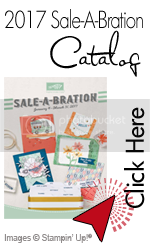 Some of you may already know about Project Life as it's not a new scrapbooking concept. 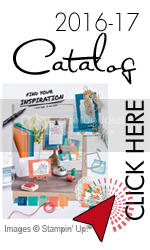 Stampin'Up has partnered with Becky Higgins (the creator of Project Life) and is now offering exclusive Project Life products. I am going to be spending the next couple of month with my family and taking a break from teaching classes and presenting workshops. Please know that I am available to answer any questions and to provide any help you may need in your paper crafting endeavors.